Are you teaching with TOP GRAMMAR PLUS course books? 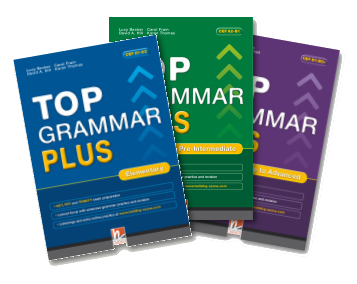 Have you got a TOP GRAMMAR PLUS course book and want to do online exercises for it? You can easily create a user account for Helbling Cyber Homework. Use your book code!